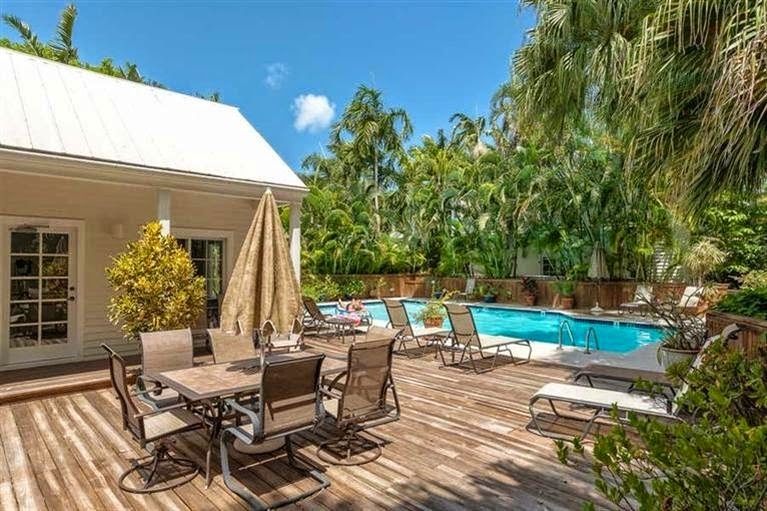 My goal in writing these blogs is to show you the properties I most believe exemplify the type of island living that is uniquely Key West. 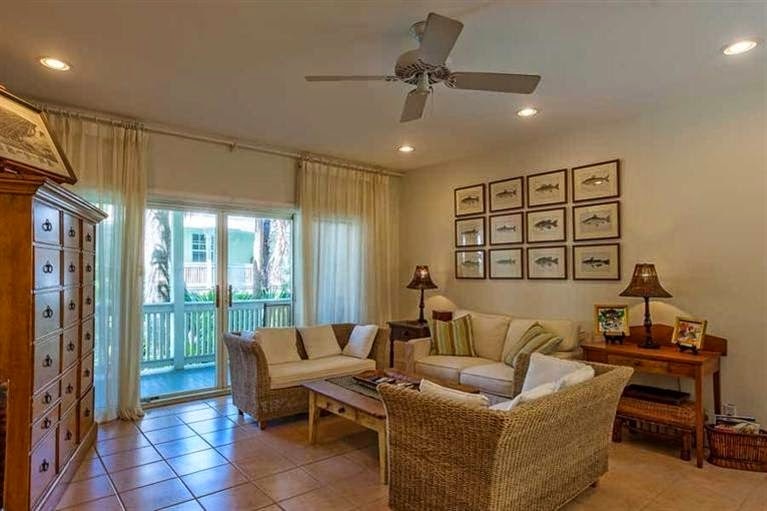 The two-bedroom, two-bath condo for sale at 918 Southard, Unit #204, is another prime example, combining both tranquility and convenience in one amazing home. 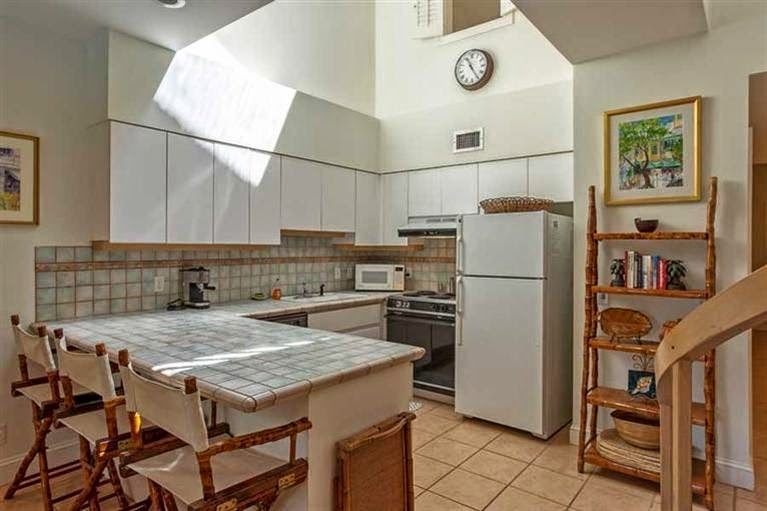 The listing agent describes the property as having a “tree-house living style” because of its location on the second and third floor of the building. 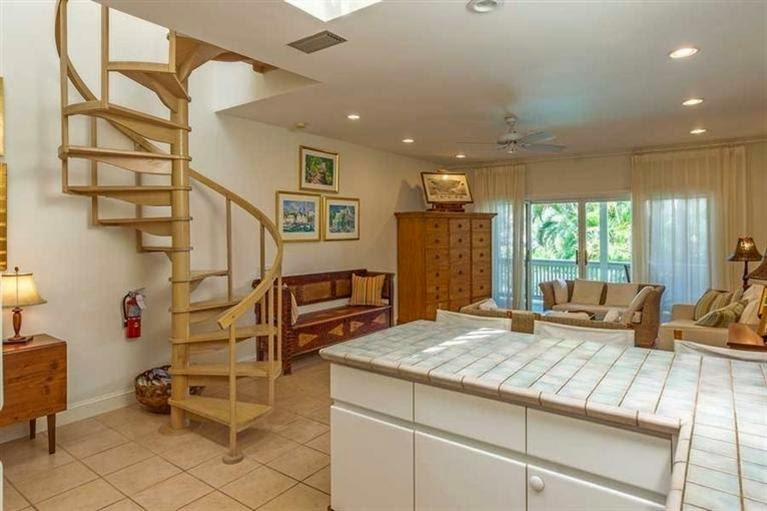 A unique spiral staircase leads you from the main to the upper floor of the unit. 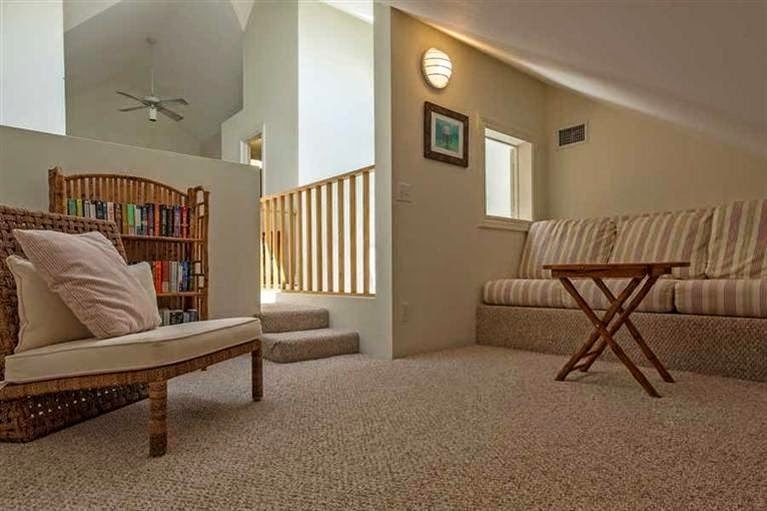 A "bridge," which looks down on the kitchen and living area below, forms a crossing between the upstairs bedroom and a tranquil sitting nook. Add outdoor balconies with views of the pool on both floors and you'll definitely get the “treehouse” analogy! 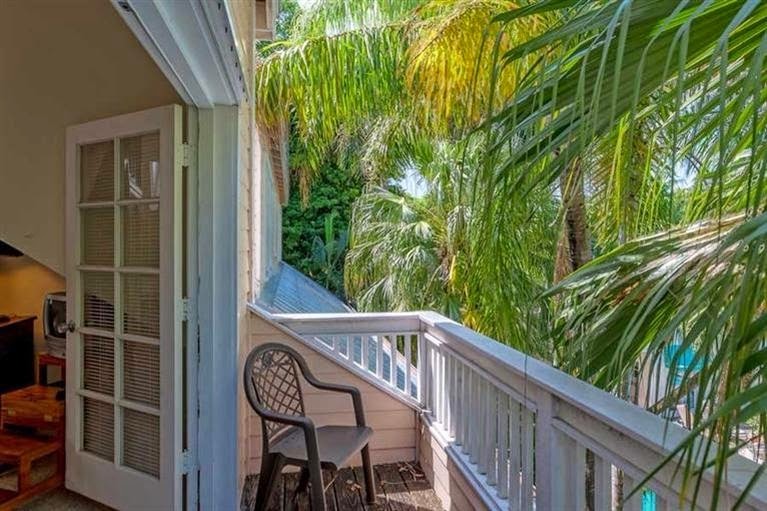 Third floor balcony is truly secluded! This split-level unit with an open floor plan accommodates an eat-in kitchen, living room, guest bedroom, full bath and sunny balcony located downstairs. 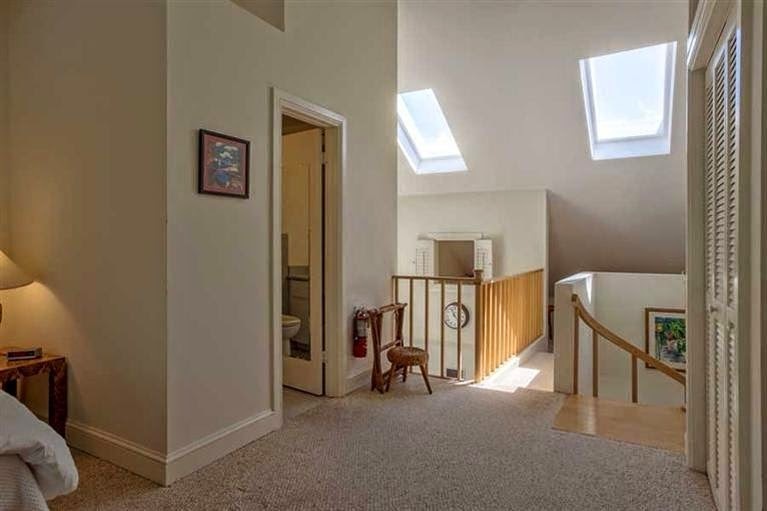 Upstairs you’ll find the large master suite with private bath and its own balcony and the adjoining sitting room/study nook described earlier. 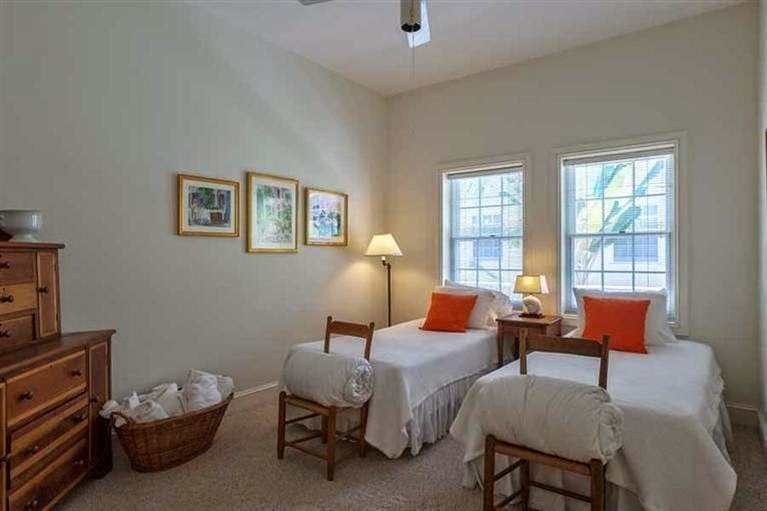 This area could also be considered a third bedroom for kids or out-of-town guests. The entire unit is tastefully decorated with a light and airy feel accentuated by natural sky lighting from above and sunlight from the balconies and windows. Other amenities include central air, a washer/dryer closet, storm shutters and a total sense of security coming and going via off-street parking with lighted entrances and exits. Unit #204 is one of only 16 units in the Southard Square Condominiums gated community, which was built in the 1980s. The buildings are each a bit different, as are the units. The majority of the first floor units are one-bedroom and one-story and about half don’t have a view of the pool. The five second/third floor units (like this one) are all two-level and only three include a good view of the pool. Each unit has an assigned off street parking spot. This unit (#204) has been under the same ownership since 2003. The Southard Square Condominium complex is outlined in turquoise. Unit numbers are shown in red. Unit numbers beginning with "2" are second/third floor units located directly above the first floor units with the corresponding number. 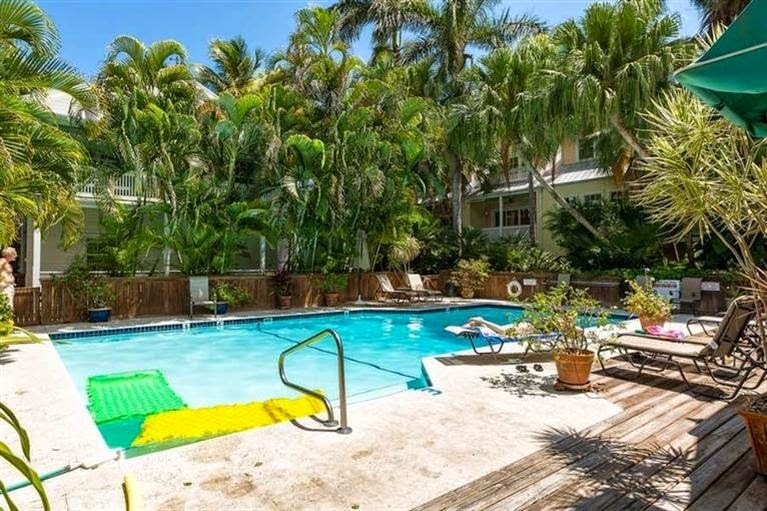 The wonderful, tropically-landscaped common area includes an over-sized, sparkling pool (where you can actually swim laps!) with tons of deck space and access to the condo's private clubhouse you can reserve for your own special events. 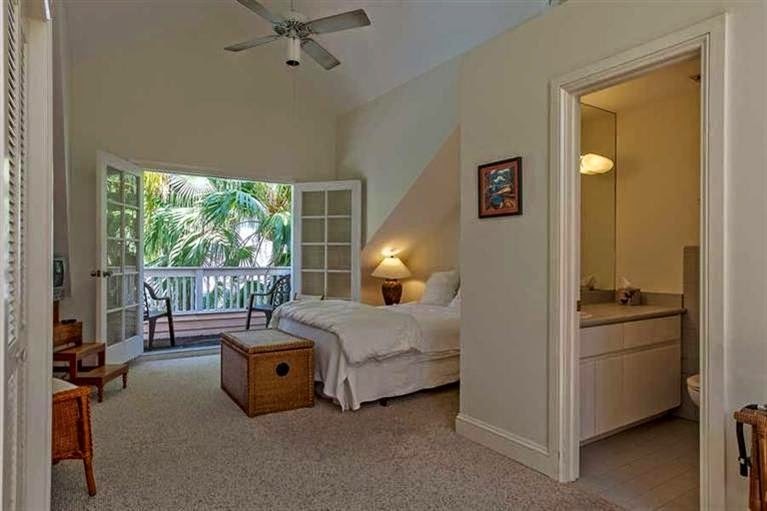 Southard Square Condominiums is one of the best-kept secrets in Key West! Located on Southard Street, you just can’t get any more centrally located in Old Town than this. One of Key West’s favorite restaurants, Mangia Mangia is on one corner and a local’s favorite for café con leche and sandwiches, 5 Brothers, is on the other. Micheals Restaurant is caddy corner, and you're only four blocks from the Historic Seaport with its boardwalk and access to restaurants and water sports activities. The MLS lists this property at 1,200 square feet at a price of $680,000. 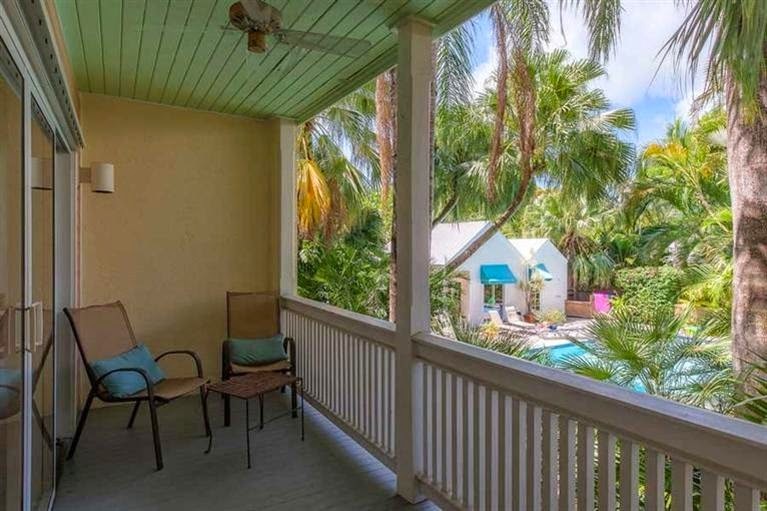 This home would be a great investment for anyone who would like to spend even a few weeks a year in Key West. None of the units have a transient license (for nightly rentals), but any unit can be rented on a monthly basis for some additional income when you’re not here. 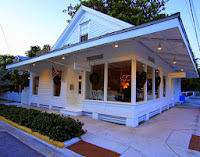 Don't delay, call me at 305-304-1708 to schedule a visit to this hidden gem in the heart of Old Town.